You’ve probably heard by now that Suzanne’s (suzypineapples) motorcycle was recently stolen in the early AM hours out of her locked garage. To say that she’s devastated would be an understatement. Her’s is the biggest smile around when she was on that bike, and that has been taken from her, and us. Among running many of her motorcycle club’s day to day activities, she is the head of the philanthropy committe for the Miss-Fires, tirelessly planning charity events, raising funds for others, and just doing silly things like making cards and gifts to brighten friend’s days. It doesn’t stop there. Suzanne will be the first to support your kickstarter, walk for charity or any type of fundraising event you put out there whether it be with money or by donating a hand knit item. She always goes above and beyond to help when anyone she knows is in need. Let’s help her out! Suzanne is also dealing with heavy family challenges during this time and we as motorcyclists rely on these machines for a lot more than just going from point A to point B. Long rides help us get out of our heads, short group rides can provide a ton of fun and act as huge stress relivers. Our motorcycles are our meditation and therapy, they help us deal and process, she relied on this bike for a lot more than just commuting. Any money earned over the payoff difference and what she needs for a small downpayment on some new wheels will be donated directly to charity. She’s had much heartache mourning this loss and it’s a tough thing to watch a friend be so sad. 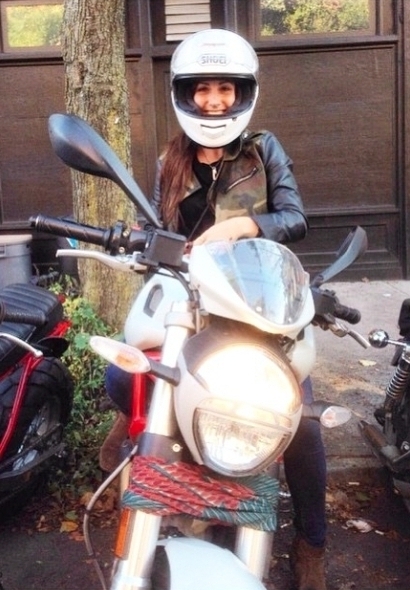 A motorcycle, as silly as it sounds, will help her heal. Let’s raise her up along with the corners of her mouth. Please contribute and help us get Suz her smile back. This entry was posted in Charity, Members. Bookmark the permalink. 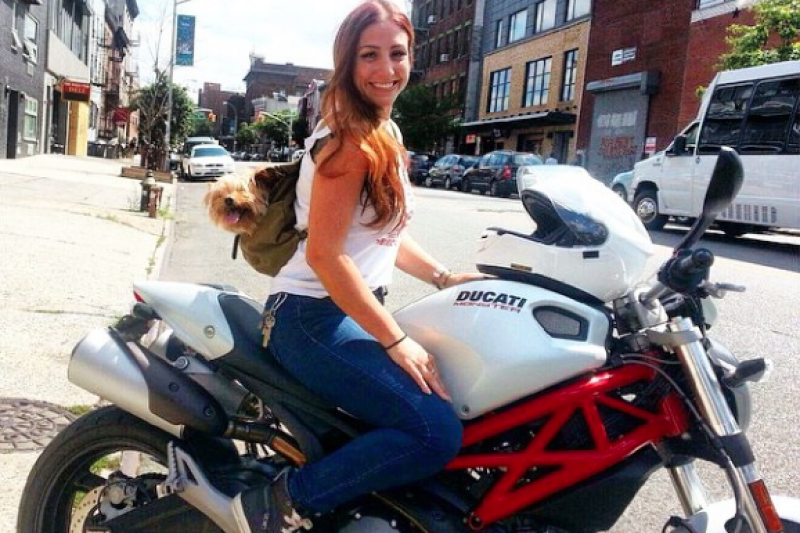 Women bikers are on a roll…and have been for a while! Can I have a new Ducati too? Mine’s a 21 yr old bucket of bolts.